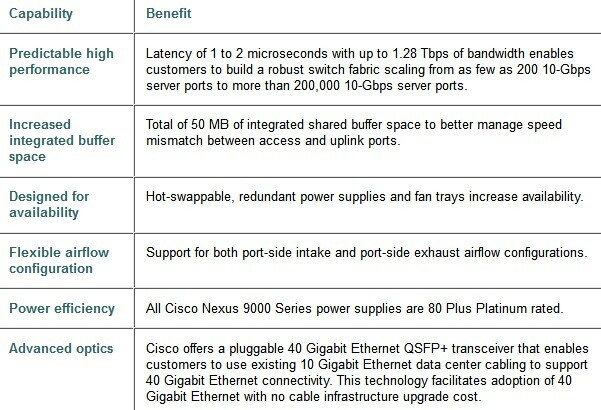 Cisco Nexus 9300 Series, the fixed-port switch, is one of the Nexus 9000 Series switches. It was designed for top-of-rack (ToR) and middle-of-row (MoR) deployment in data centers that support enterprise applications, service provider hosting, and cloud computing environments. Cisco Nexus 9300 Series Switches are Layer 2 and 3 nonblocking 10 and 40 Gigabit Ethernet and Fibre Channel over Ethernet (FCoE)-capable switches with up to 2.56 terabits per second (Tbps) of internal bandwidth. Firstly, we will look at the main three models of Cisco Nexus 9300 Series. What are they? Let’s see the following details. The Cisco Nexus 9396PX Switch is a 2-rack-unit (2RU) switch that supports 1.92 Tbps of bandwidth across 48 fixed 10-Gbps SFP+ ports and 12 fixed 40-Gbps QSFP+ ports. The Cisco Nexus 9396TX Switch is a 2RU switch that supports 1.92 Tbps of bandwidth across 48 fixed 1/10GBASE-T ports and 12 fixed 40-Gbps QSFP+ ports. The Cisco Nexus 93128TX Switch is a 3RU switch that supports 2.56 Tbps across 96 fixed 1/10GBASE-T ports and 8 fixed 40-Gbps QSFP ports. 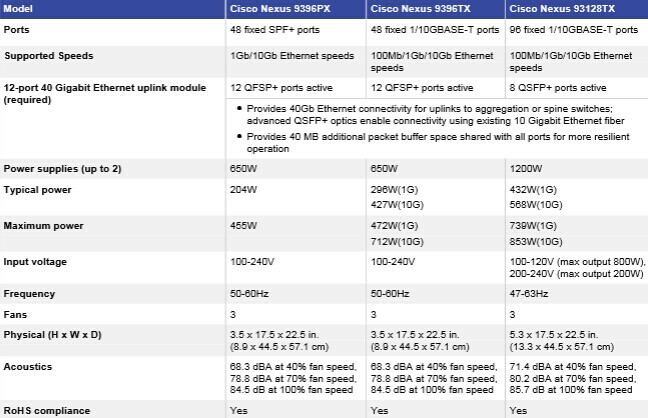 The 40-Gbps ports for Cisco Nexus 9396PX, 9396TX and 93128TX are provided on an uplink module that can be serviced and replaced by the user. The uplink module is the same for all switches; If used with the Cisco Nexus 93128TX, 8 out of the 12x40Gbps QSFP+ ports will be available. Note: Among the three nexus 9300 models, Nexus 9396PX and 93128TX switch are the Nexus 9300 Series ACI leaf switches. These three components handle both the application of network policy and the delivery of packets. Cisco Nexus9000 Series Switches, support Cisco ACI, and organizations can use them as spine or leaf switches to take full advantage of an automated, policy-based, systems management approach. 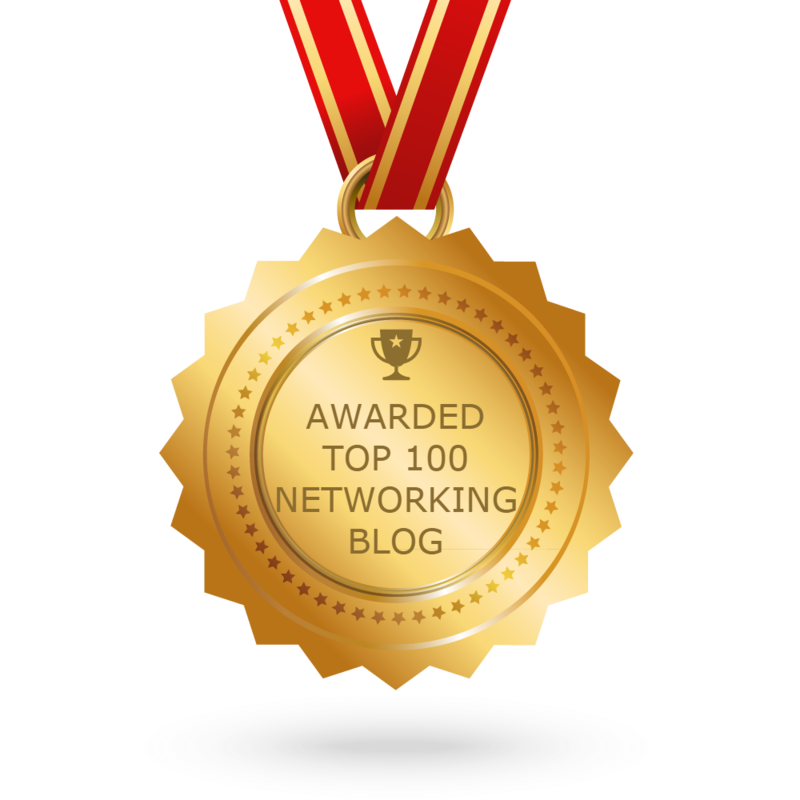 Cisco Nexus 9300 Series Switches, What’ new Here? The platform offers industry-leading density and performance with flexible port configurations that can support existing copper and fiber cabling. With 1/10GBASE-T support, the platform can deliver 10 Gigabit Ethernet over existing copper, enabling a low-cost upgrade from Cisco Catalyst 6500 Series Switches when used in an MoR or EoR configuration. The Nexus 9300 switches are designed to adapt to any data center hot-aisle and cold-aisle configuration. They can be installed with ports facing the rear, simplifying cabling of server racks by putting the ports closest to the servers they support. The Cisco 9300 switches can be installed with the ports facing the front, simplifying the upgrade of existing racks of switches in which network cables are wired to the front of the rack. The two deployment modes support front-to-back cooling through a choice of power supplies and fan trays designed with opposite airflow directions, denoted by red and blue tabs. To enhance availability, the platform supports 1+1 redundant hot-swappable 80 Plus Platinum-certified power supplies and hot swappable 2+1 redundant fan trays. The Cisco Nexus 9300 platform requires an uplink module to be installed for normal switch operation. The Cisco Nexus M12PQ uplink module provides up to 12 QSFP+ ports for 40 Gigabit Ethernet connectivity to servers or aggregation-layer switches. As specified earlier in Table 1, the uplink module provides 8 active ports when installed in the Cisco Nexus 93128TX, and 12 active ports when installed in the Cisco Nexus 9396PX and 9396TX. The 40 Gigabit ports on the uplink module does not support the break-out mode of 4 10 Gigabit ports but can be converted to a single 10 Gigabit port through the QSA adapter.